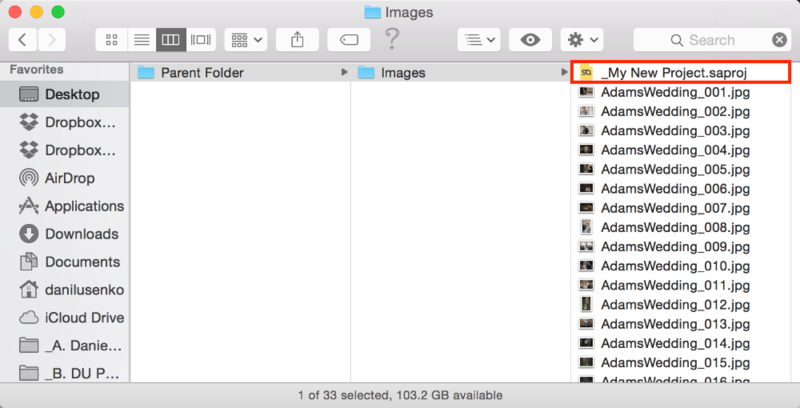 In order to move a project from one computer to another with all of the images linked properly, it is important to make sure that your images and Pixellu SmartAlbums 2 project file are located in the same folder. Open your current SmartAlbums project that you intend on moving. Go to File and select Save as…. 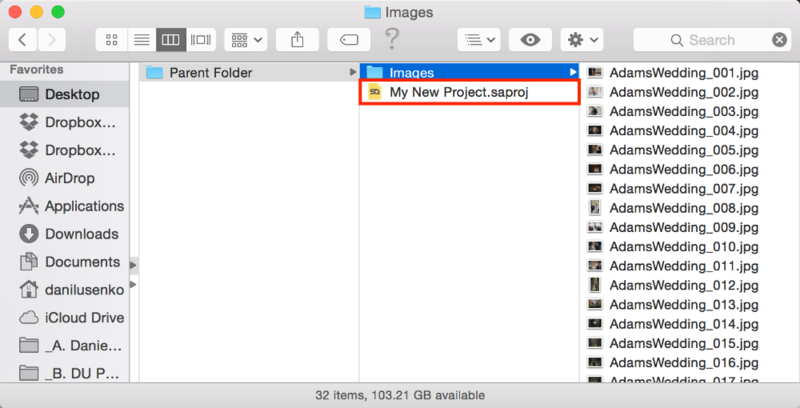 Save the project file in the same parent folder as your images. See below for two examples of proper folder structure. Both of these folder structures will allow you to move the entire Parent Folder successfully to the new destination/computer. If the images have not been moved as described above, you may experience problems opening your project with SmartAlbums on the new computer. If so, please click here to read an article that will help you relink your files.